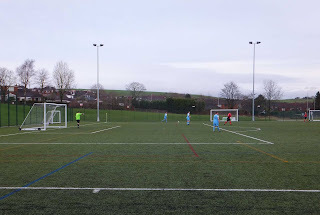 Evening plans meant I needed a local game, so this cup tie appealed primarily thanks to its early kick off, and an artificial pitch which meant the rain was unlikely to pose a problem. 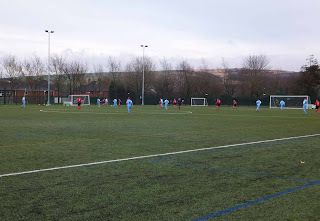 I've not seen a lot of Huddersfield League football, but the games I have watched have been a decent standard, so I was looking forward to a cup tie in which top division Heyside were hosting HV Academicals (as they're usually known) from the league's second tier. 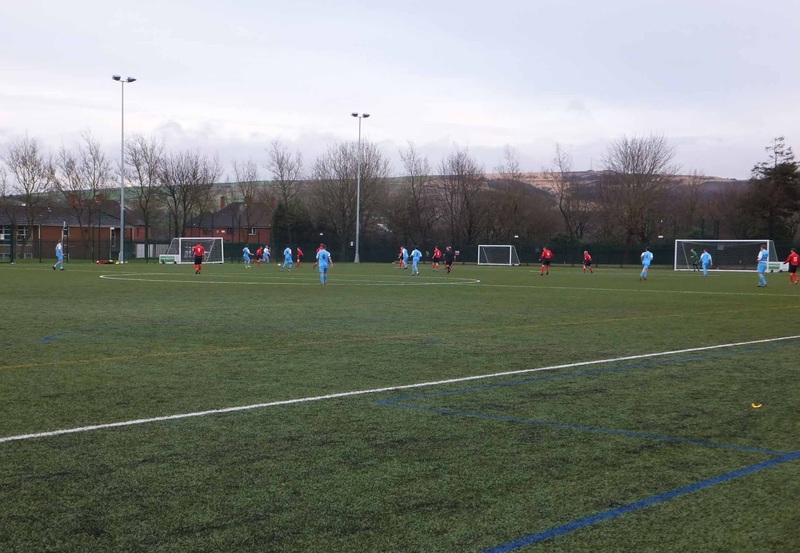 I guess Heyside, to the east of Oldham, is a bit of an outpost of the Huddersfield League. They play on a newly-constructed all-weather pitch in the grounds of Crompton House School in Shaw. 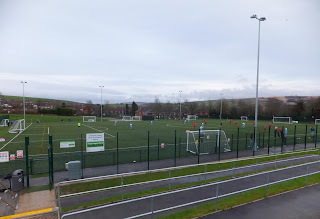 Like most venues of this type it's floodlit and enclosed by a high fence, but on the plus side there's an area on the near side for spectators, plenty of room around the pitch for those, like me, who prefer to roam, and of course it's very unlikely to be off waterlogged. 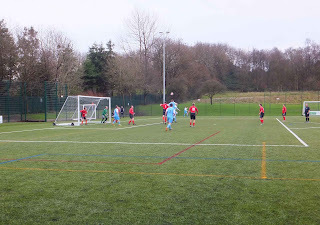 Heyside, going well in the league, began the tie playing the sort of bright football that I hoped I might see. 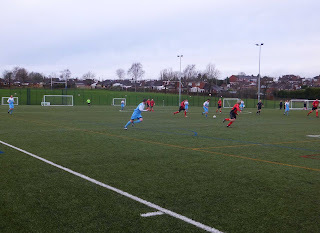 It wasn't long before they were 2-0 up, and they threatened to run away with it. But the Holmfirth-based visitors got a lifeline thanks to a penalty. 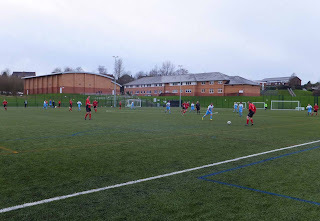 The spot kick was converted, and with their lead reduced Heyside lost their way, struggling to create clear chances against well organised opponents. It was well into the second period before a third goal for the hosts made the tie look safe, and two late goals rounded off the afternoon. 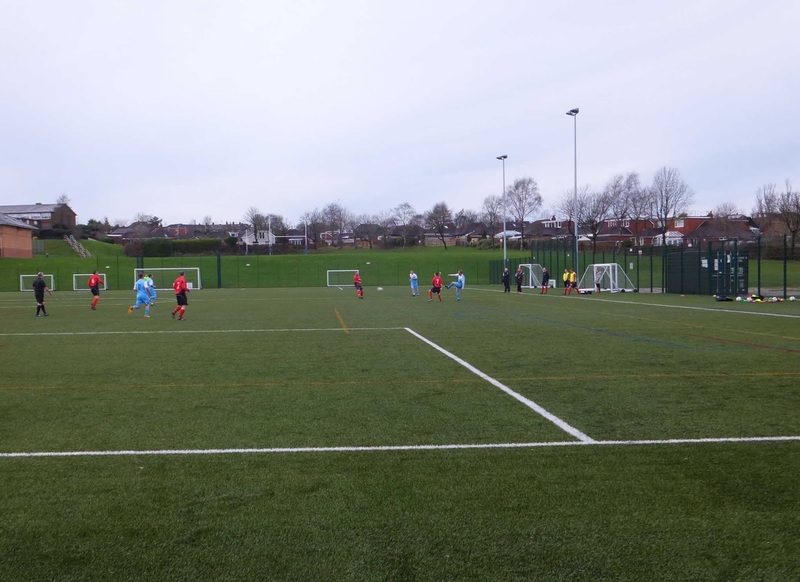 Once again Huddersfield League teams showed they're capable of playing decent football, comparing well with supposed higher leagues such as the West Riding and West Yorkshire competitions. 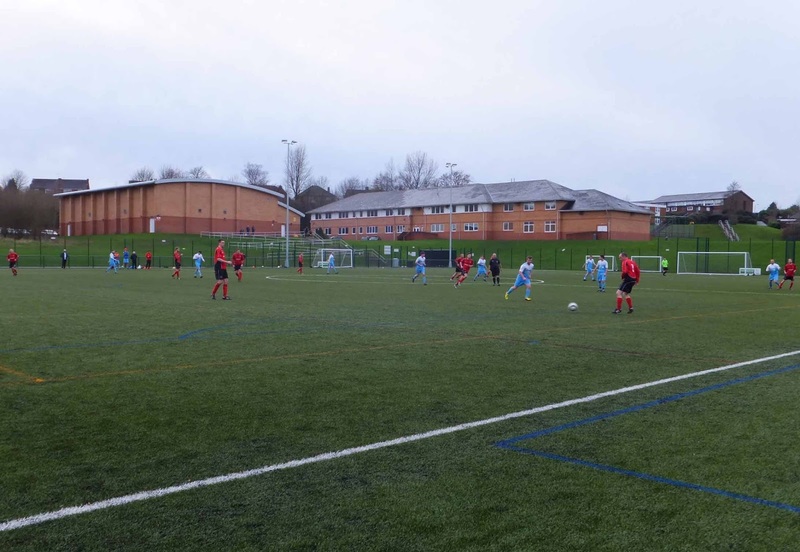 When I’m not working, or doing other things, I’m a groundhopper. 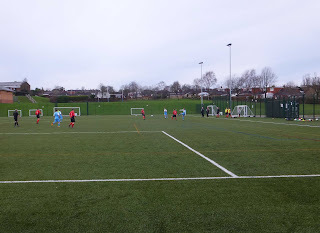 This blog will record every new ground I visit for football, with a brief match report, ground description and a few photos. Any spelling mistakes or typos are likely to be the result of blogging after a glass or two of wine, and attendance figures are my headcounts or estimates (official figures used if available).